I am always on the search for new beauty secrets, and over the years I have found some amazing tips like these from around the world. One beauty secret I come across time and again is coconut oil. In fact, we have a huge post on our site with 200 brilliant uses for coconut oil all around the house. So naturally I had gotten to the point where I was pretty sure I knew everything there was to know about this miraculous substance. I figured that no one could teach me any new tricks, but I was wrong! I just found a YouTuber who knows some astounding coconut oil secrets that I wasn’t aware of! Ready for your free jar of coconut oil? 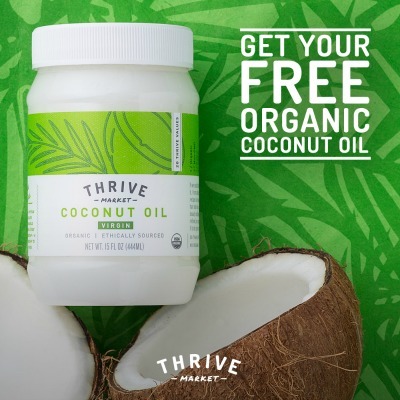 Take advantage of our free offer from Thrive Market and claim your FREE 15 oz Thrive Market Virgin Coconut Oil. I don’t want to give everything away though—so you’ll just have to watch the video to find out all 26 tips and tricks by Popsugar‘s youtube channel. Enjoy these coconut oil hacks, and if you haven’t yet, be sure to visit the link I shared before for 200 genius coconut oil uses!